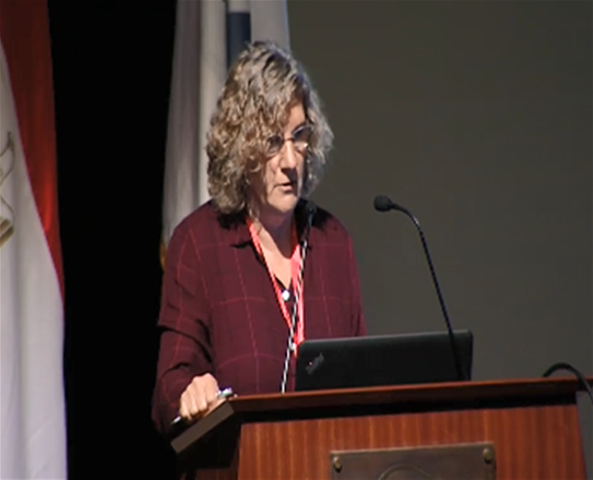 Nancy D. Connell, Professor, Division of Infectious Disease, Department of Medicine, Rutgers New Jersey Medical School (RNJMS) and the Rutgers Biomedical Health Sciences. A Harvard University PhD in Microbiology, Dr. Connell’s major research focus is antibacterial drug discovery in respiratory pathogens, such as M. tuberculosis and B. anthracis. She is Director of the Biosafety Level Three (BSLIII) Facility of RNJMS’s Center for the Study of Emerging and Re-emerging Pathogens, and Chairs the University’s Institutional Biosafety Committee. Dr. Connell has been continuously funded by the NIH and other agencies since 1993, and serves on numerous NIH study sections and review panels. She has served on a number of committees of the National Academy of Sciences, such as the Committee on Advances in Technology and the Prevention of their Application to Next Generation Biowarfare Agents (2004), Trends in Science and Technology Relevant to the Biological Weapons Convention; an International Workshop (2010), and the Committee to Review the Scientific Approaches used in the FBI's Investigation of the 2001 Bacillus anthracis Mailings (2011). Current work is with The National Academies of Sciences “Education Institute on Responsible Science”, held in Jordan (2012) and Malaysia (2013).